Well met and welcome to the Magick Modder’s first set. 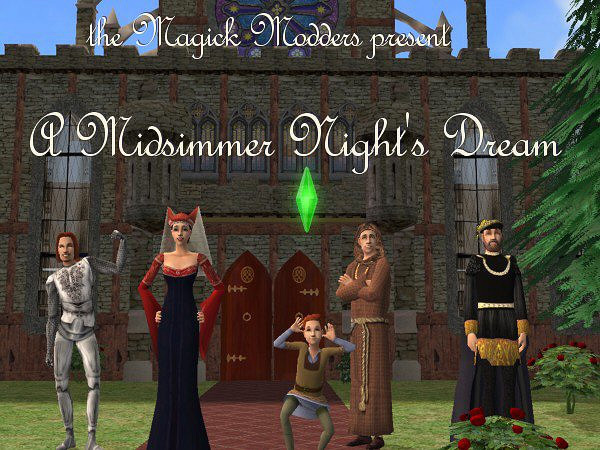 ‘A Midsimmer Night's Dream’ is designed to take your sims back to a time before Elves and their magics left this world. A time of chivalry and courtly love. We’re bringing you a cartload of new meshed objects, clothes and hair, as well as some beautiful recolors. 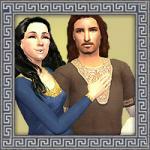 You'll find a blend of history and fantasy here, for you to build your own Sim fantasy worlds with. We hope you enjoy these as much as we did making them. Our thanks to everyone who contributed ideas, including LyricLee and Anniebonnie, and especially to Delphy and the staff. All zips include a readme file with extra information and all content works in all versions of the game, unless stated otherwise. The objects in this set all have face counts that are comparable or well below their maxis originals. Necessary meshes are included with the downloads unless otherwise noted. Fare thee well, kind simmer! 10/29 *Please redownload the medieval doors and overwrite your old files. * The new package should fix any problems. You'll find the downloads in messages 2-11 of this thread. Click 'First' page if you can't find them! 5723 people have said thanks to Magick Modders for this download.